Madison WI Photographer. High School Senior pictures for guys. Fun and handsome is how I would describe him. He really didn’t want to have his senior pictures taken but this boy did it for his Mom. This is common with most of our high school senior guys. K Jay Photos Photography, Madison WI, a fun photographer offering a fun experience for both guys and girls. We promise. www.kjayportraits.com. 608-850-4850 to reserve your session today. 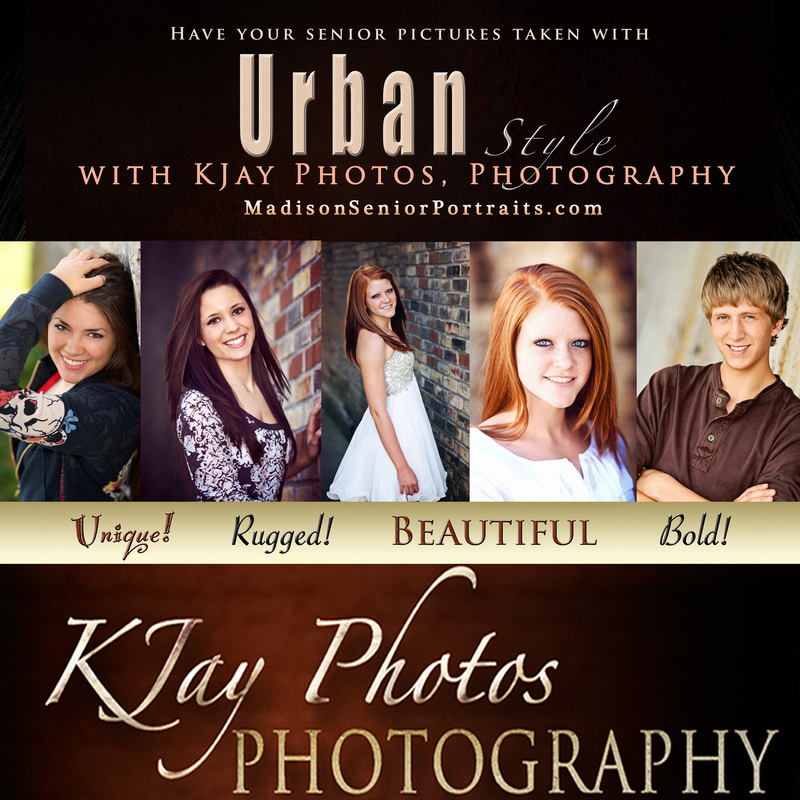 May 19, 2015 | Categories: Artistic Senior Pictures, Award Winning Madison WI Photography, De Forest WI Photographer, DeForest Photography, DeForest WI Photographer, Graduation Pictures, High School Senior Pictures, High School Seniors Portraits, K Jay, K Jay Photos, KJ Photography, KJ Photos, KJay, KJAY Photos, Lodi WI photographer, Lodi Wisconsin Photography, Madison Photographers, Madison WI Photographer, Madison Wisconsin Photography, McFarland WI Photographer, Middleton WI Photographer for Senior Portraits, Middleton WI Photography Studio, Monona WI Photographer, Oregon WI Photographer, Photographer in Waunakee, Photography Studio in Waunakee, Professional Portrait Photography, Sauk City WI Photographer, senior pictures for guys, Sun Prairie WI Photographer, Sun Prairie WI Photography, Verona Photographer, Verona WI Photography, Waunakee Photographer, waunakee photography, Waunakee Portraits, Waunakee Studio | Tags: guy senior pictures, portraits for guys. | Comments Off on Madison WI Photographer. High School Senior pictures for guys. 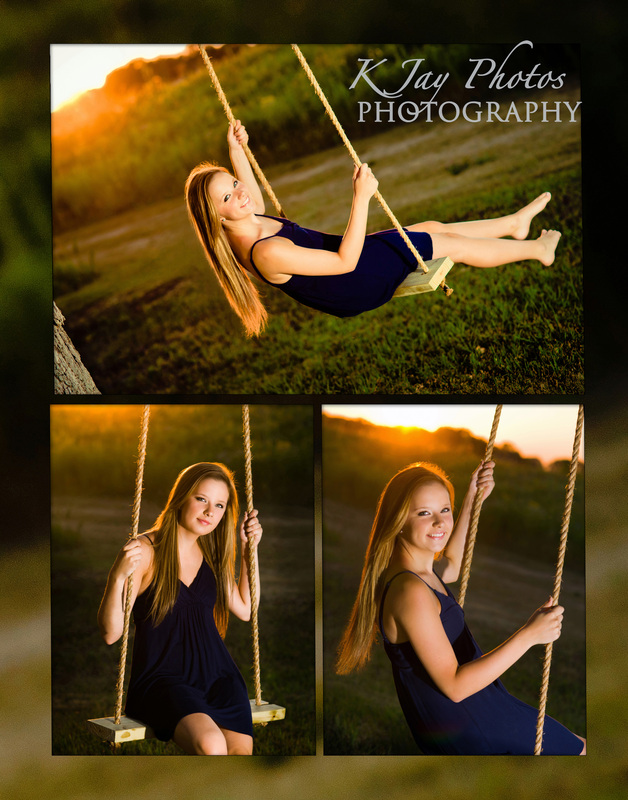 Madison, WI Photographer showcases this Memorial high school senior in her senior pictures. 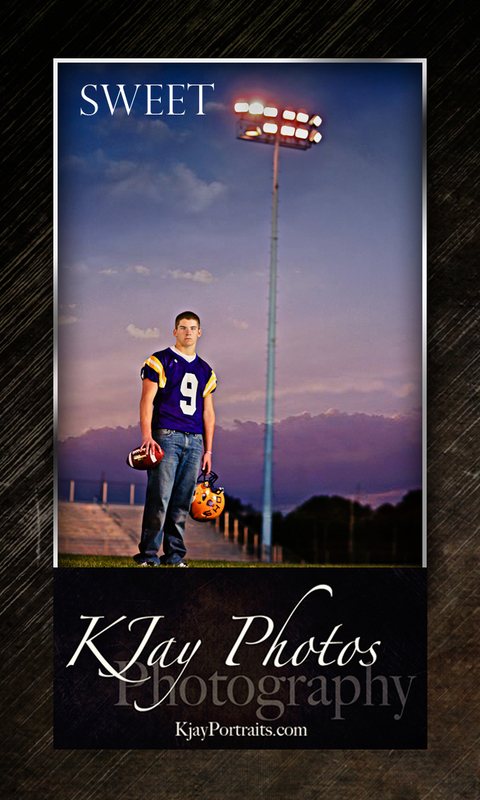 K Jay Photos Photography loves capturing senior pictures. Portraits that reflect on high school seniors and the life they have led thus far with so much hope in the near future. 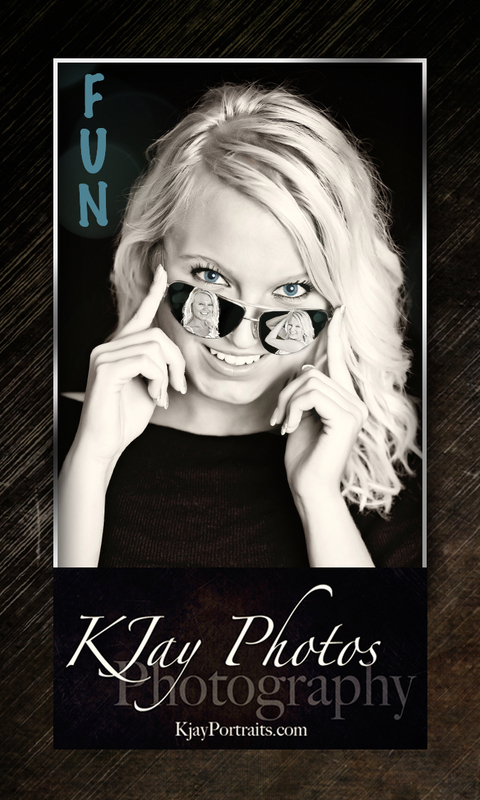 We are privileged to work with so many wonderful seniors and looking forward to what 2016 has to offer K Jay Photos Photography. Contact us today about 2016 portrait packages. 608-850-4850. February 14, 2015 | Categories: Artistic Senior Pictures, Award Winning Madison WI Photography, De Forest WI Photographer, DeForest Photography, DeForest WI Photographer, Graduation Pictures, High School Senior Pictures, High School Senior Swimming Pictures, High School Seniors Portraits, K Jay, K Jay Photos, KJ Photography, KJ Photos, KJay, KJAY Photos, Lodi WI photographer, Lodi Wisconsin Photography, Madison Photographers, Madison WI Photographer, Madison Wi Photographers Senior PIctures, Madison Wisconsin Photography, Middleton WI Photographer for Senior Portraits, Monona WI Photographer, Monona Wisconsin Photography studio, Photographer in Waunakee, Photography Studio in Waunakee, Professional Portrait Photography, Senior pictures photographer Madison WI, Sun Prairie WI Photographer, Sun Prairie WI Photography, Verona Photographer, Verona WI Photography, Waunakee Photographer, waunakee photography, Waunakee Portraits, Waunakee Studio | Tags: K Jay Photos Photography | Comments Off on Madison, WI Photographer showcases this Memorial high school senior in her senior pictures. Beautiful High School Senior Portraits that define who you are. K Jay Photos Photography, Madison WI Photographer. 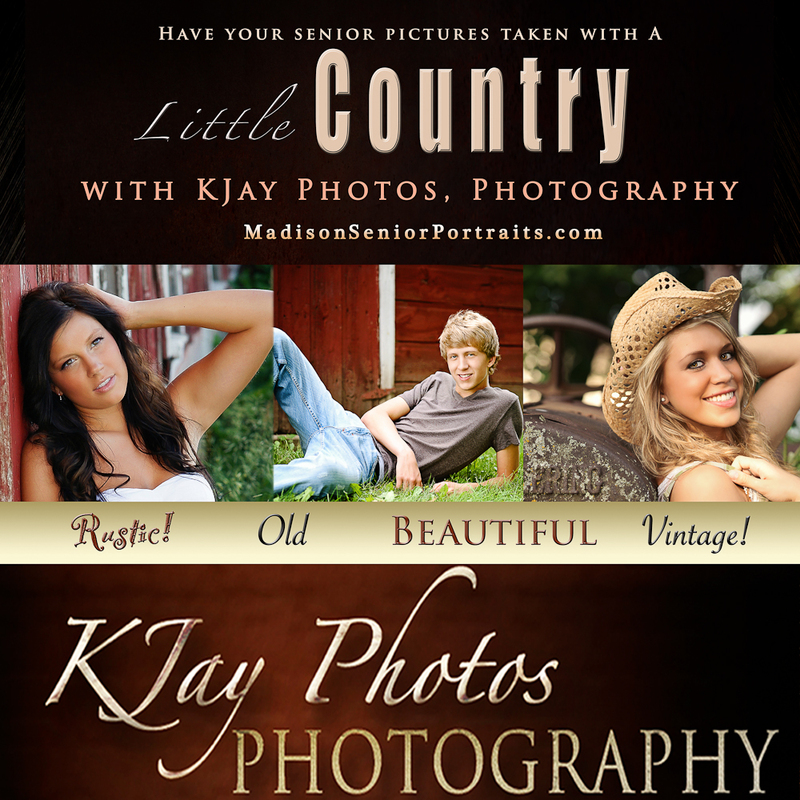 K Jay Photos Photography, Madison WI Photographer specializing in high school senior portraits. This girl senior pic session was one of our favorites from this past year capturing her beauty in these beautiful portraits and her passion for the UW Madison Badgers. Call K Jay Photos Photography today to reserve 2016 Senior Portrait Session. 608-850-4850. January 21, 2015 | Categories: Award Winning Madison WI Photography, De Forest WI Photographer, High School Senior Pictures, High School Senior PIctures for dancers, High School Seniors Portraits, K Jay, K Jay Photos, KJ Photography, KJ Photos, KJAY Photos, Lodi WI photographer, Madison Photographers, Madison WI Photographer, Madison Wi Photographers Senior PIctures, Madison Wisconsin Photography, Middleton WI Photography Studio, Monona WI Photographer, Monona Wisconsin Photography studio, Photographer in Waunakee, Professional Portrait Photography, Senior Picture Football Ideas, Senior Pictures Monona WI Studio, Senior pictures photographer Madison WI, Sports Pictures Senior Photos, Sun Prairie WI Photographer, Sun Prairie WI Photography, Verona Photographer, Verona WI Photography, Waunakee Photographer, waunakee photography, Waunakee Portraits, Waunakee Studio | Tags: UW Madison Badger Senior PIctures Wisconsin | Comments Off on Beautiful High School Senior Portraits that define who you are. K Jay Photos Photography, Madison WI Photographer. High School Senior Pictures Digital Files. K Jay Photos Photography, a fun Madison WI Photographer. June 10, 2014 | Categories: Artist Senior Pictures, Award Winning Madison WI Photography, Black and White photographer madison wi, DeForest Photography, DeForest WI Photographer, Graduation Pictures, High School Senior Pictures, High School Seniors Portraits, K Jay, K Jay Photos, KJ Photography, KJ Photos, KJay, KJAY Photos, Lodi WI photographer, Lodi Wisconsin Photography, Madison, Madison Photographers, Madison WI, Madison WI Photographer, Madison Wi Photographers Senior PIctures, Madison Wisconsin Photography, Middleton WI Photographer for Senior Portraits, Middleton WI Photography Studio, Monona Wisconsin Photography studio, Photographer in Waunakee, Photography Studio in Waunakee, Professional Portrait Photography, Sun Prairie WI Photographer, Sun Prairie WI Photography, Verona Photographer, Verona WI Photography, Waunakee Photographer, waunakee photography, Waunakee Portraits, Waunakee Studio | Tags: K Jay Photos Photography Waunakee WI Photographer, Madison WI photographer, Madison Wisconsin photographer | Comments Off on High School Senior Pictures Digital Files. K Jay Photos Photography, a fun Madison WI Photographer. 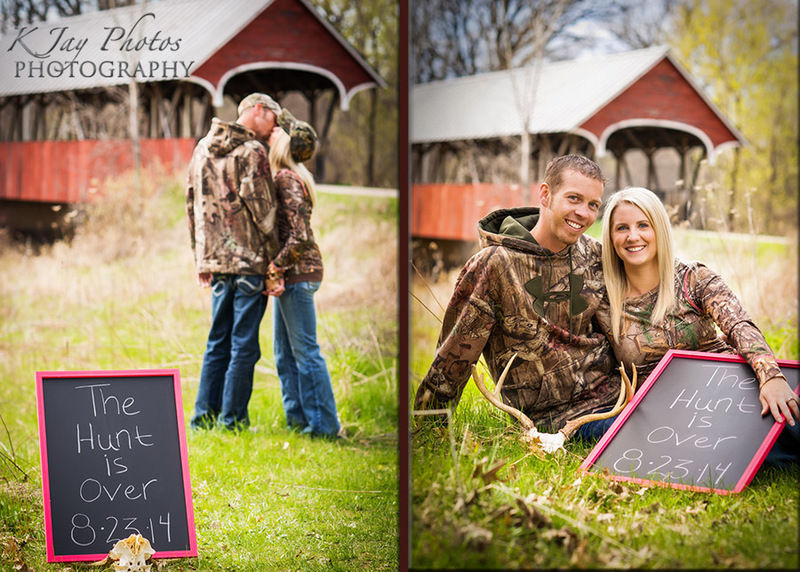 A Country Engagement Session. Madison WI Photographer, K Jay Photos Photography. He loves to hunt. She’s trying to love it but loves her man. This cute engagement couple showcased their love during their engagement session with K Jay Photos Photography, Madison WI. To see more engagement pictures, visit www.kjayportraits.com or call K Jay Photos at 608-850-4850. May 22, 2014 | Categories: Award Winning Madison WI Photography, DeForest Photography, DeForest WI Photographer, engagement pictures, engagement portraits, Lodi WI photographer, Lodi Wisconsin Photography, Madison Photographers, Madison WI Photographer, Middleton WI Photography Studio, Monona WI Photographer, Monona Wisconsin Photography studio, Photographer in Waunakee, Photography Studio in Waunakee, Professional Portrait Photography, Sun Prairie WI Photographer, Sun Prairie WI Photography, Verona Photographer, Verona WI Photography, Waunakee Photographer, waunakee photography, Waunakee Portraits, Waunakee Studio | Comments Off on A Country Engagement Session. Madison WI Photographer, K Jay Photos Photography. We love engagement pictures. Madison WI Photographer, K Jay Photos Photography. K Jay Photos Photography specializes in portraits. Engagement pictures are some of our favorites and we are blessed to be part of the beginning of a new love story for each of our clients. For more information about K Jay Photos visit www.kjayportraits.com or call 608-850-4850. May 17, 2014 | Categories: Award Winning Madison WI Photography, DeForest Photography, DeForest WI Photographer, engagement pictures, engagement portraits, Lodi WI photographer, Lodi Wisconsin Photography, Madison Photographers, Madison WI Photographer, Madison Wisconsin Photography, Middleton WI Photographer for Senior Portraits, Middleton WI Photography Studio, Monona WI Photographer, Monona Wisconsin Photography studio, Photographer in Waunakee, Photography Studio in Waunakee, Professional Portrait Photography, Sun Prairie WI Photographer, Sun Prairie WI Photography, Verona Photographer, Verona WI Photography, Waunakee Photographer, waunakee photography, Waunakee Portraits, Waunakee Studio | Comments Off on We love engagement pictures. Madison WI Photographer, K Jay Photos Photography. Each year we take family portraits. It is harder to do each year as our family grows up and schedules are hard to coordinate. Here are a few favorites from the past few years. A Country Love Story. K Jay Photos Photography, an engagement photographer in Madison, WI. Country Style Engagement Portraits by K Jay Photos Photography, Madison WI. One of my favorite pictures from this weekends engagement photo session. I think it could be used as a cover for a book… a country love story of course. K Jay Photos Photography, Madison WI www.kjayportraits.com. Post by K Jay Photos. May 5, 2014 | Categories: DeForest Photography, DeForest WI Photographer, engagement pictures, Lodi WI photographer, Madison Photographers, Madison WI Photographer, Madison Wisconsin Photography, Middleton WI Photography Studio, Monona WI Photographer, Monona Wisconsin Photography studio, Photographer in Waunakee, Photography Studio in Waunakee, Professional Portrait Photography, Sun Prairie WI Photographer, Sun Prairie WI Photography, Verona Photographer, Verona WI Photography, Waunakee Photographer, waunakee photography, Waunakee Portraits, Waunakee Studio | Tags: engagement portraits | Comments Off on A Country Love Story. K Jay Photos Photography, an engagement photographer in Madison, WI. Beautiful Portraits, High School Senior Pictures. Madison WI Photographer. April 28, 2014 | Categories: Artist Senior Pictures, Artistic Senior Pictures, Award Winning Madison WI Photography, Madison WI Photographer, Madison Wi Photographers Senior PIctures, Madison Wisconsin Photography, Middleton WI Photographer for Senior Portraits, Middleton WI Photographer Newborn Portraits, Middleton WI Photography Studio, Monona WI Photographer, Monona Wisconsin Photography studio, Photographer in Waunakee, Photography Studio in Waunakee, Professional Portrait Photography, Senior Pictures Monona WI Studio, Senior pictures photographer Madison WI, Sun Prairie WI Photographer, Sun Prairie WI Photography, Verona Photographer, Verona WI Photography, Waunakee Photographer, waunakee photography, Waunakee Portraits, Waunakee Studio | Tags: K Jay, KJ, KJay, Photography, Portraits, Senior Pictures by water, Waunakee WI | Comments Off on Beautiful Portraits, High School Senior Pictures. Madison WI Photographer. Soccer Senior Pictures that rock! Madison WI Photographer serving Middleton WI High School Seniors. 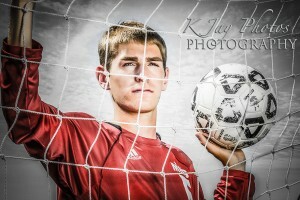 Sports is a big part of many seniors that visit K Jay Photos Photography. We encourage our athletes to bring along their sports equipment and showcase their passion during their high school senior portrait session. K Jay Photos Photography, Madison WI Photographer, loved photographing this Middleton WI Soccer High School Senior. 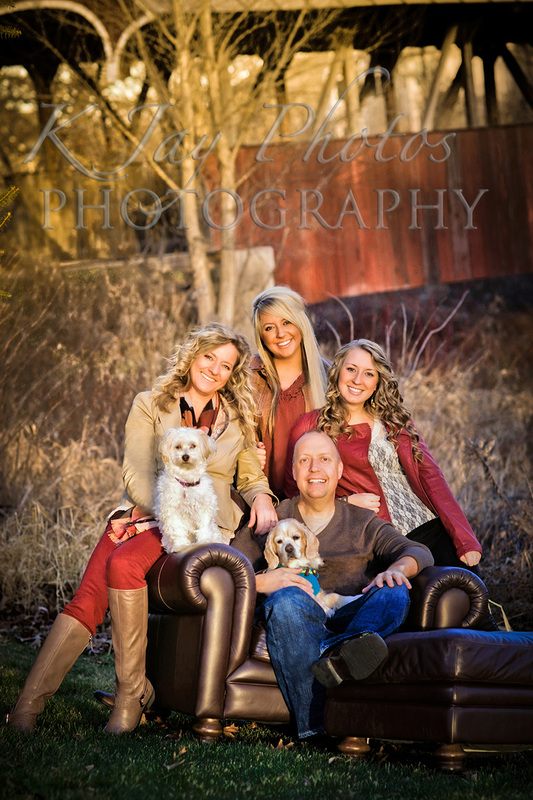 Reserve your session today by calling 608-850-4850 or email kim@kjayphotos.com. Hurry spots in the summer fill up fast and do not forget the sports equipment or soccer ball. March 20, 2014 | Categories: Artistic Senior Pictures, Award Winning Madison WI Photography, High School Senior Pictures, High School Seniors Portraits, Madison WI Photographer, Madison Wi Photographers Senior PIctures, Madison Wisconsin Photography, Middleton WI Photographer for Senior Portraits, Middleton WI Photography Studio, Monona WI Photographer, Monona Wisconsin Photography studio, Photographer in Waunakee, Photography Studio in Waunakee, Professional Portrait Photography, Senior Picture Football Ideas, Senior Pictures Monona WI Studio, Senior pictures photographer Madison WI, Soccer High School senior pictures, Sun Prairie WI Photographer, Sun Prairie WI Photography, Verona WI Photography, Waunakee Photographer, waunakee photography, Waunakee Portraits, Waunakee Studio | Tags: high school senior pictures with soccer ball, k jay photos kj kjay, middleton wi, photographer phtography studio, soccer | Comments Off on Soccer Senior Pictures that rock! 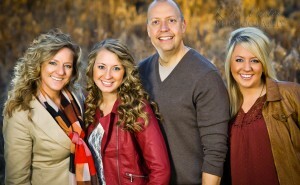 Madison WI Photographer serving Middleton WI High School Seniors. Music is a big part of her life. During your senior portrait session we encourage you to bring along props that have meaning to you. 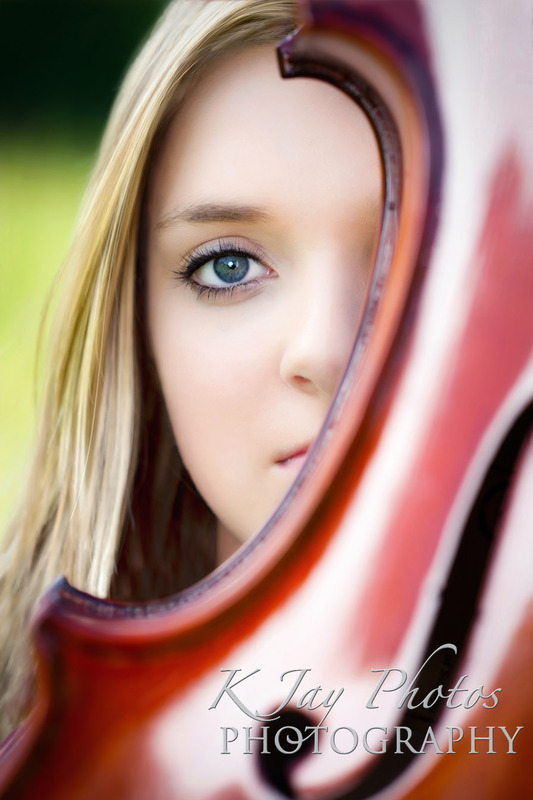 Music was always a big part of her life and we want to capture the things that mattered during her childhood so we incorporated several musical instruments into her high school senior portrait session. Make sure to reserve enough time for the props. You will cherish the images for years to come. January 28, 2014 | Categories: Artist Senior Pictures, Artistic Senior Pictures, Award Winning Madison WI Photography, High School Senior Pictures, High School Seniors Portraits, Madison Photographers, Madison WI Photographer, Madison Wi Photographers Senior PIctures, Madison Wisconsin Photography, Middleton WI Photographer for Senior Portraits, Monona WI Photographer, Monona Wisconsin Photography studio, Music Senior Pictures, Musical Senior Portraits, Photographer in Waunakee, Photography Studio in Waunakee, Professional Portrait Photography, Senior Picture Football Ideas, Senior Pictures Monona WI Studio, Senior pictures with musical instruments, Senior Portraits with guitar, Verona Photographer, Verona WI Photography, Waunakee Photographer, waunakee photography | Tags: Madison WI Photography Studio Musical Instruments Senior Pictures | Comments Off on Music is a big part of her life. 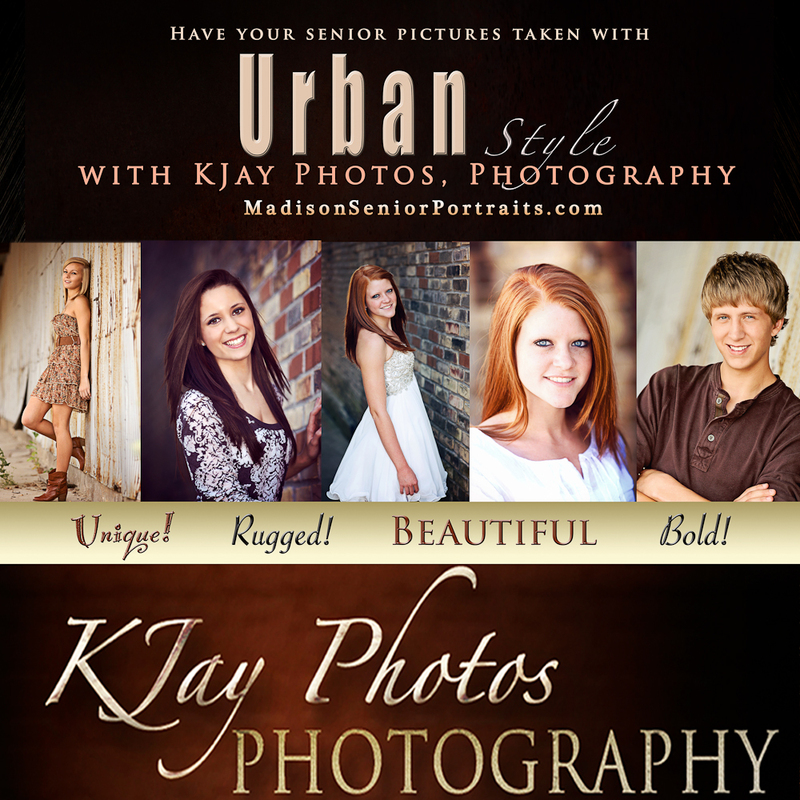 K Jay Photos Photography, one of the best Madison, WI Photographers for high school senior portraits, was featured in Senior Style Guide Magazine. Honored to be featured by this national publication specializing in high school senior photography. For more information about K Jay Photos Photography and their high school senior portrait packages, visit www.madisonseniorportraits.com. Sports Composites are new for 2014 Seniors! 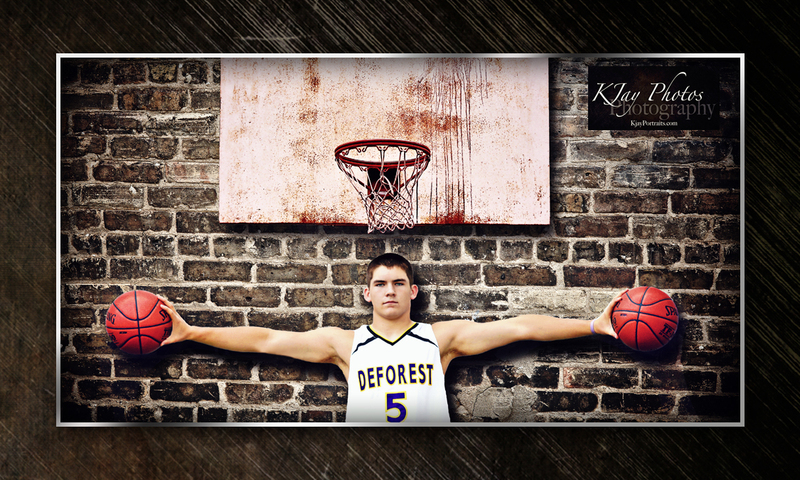 Check out some of our latest high school senior sports composites. Let’s make a lasting impression with your favorite sport. 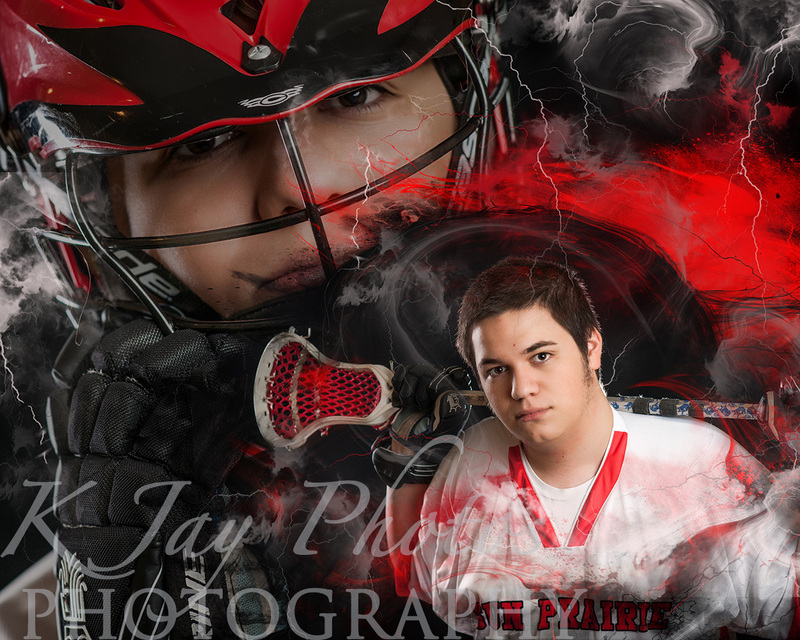 Bring the sports equipment to your senior session and let K Jay Photos Photography, Madison WI, know you are interested in a sports composite when making reserving your high school senior portrait session. 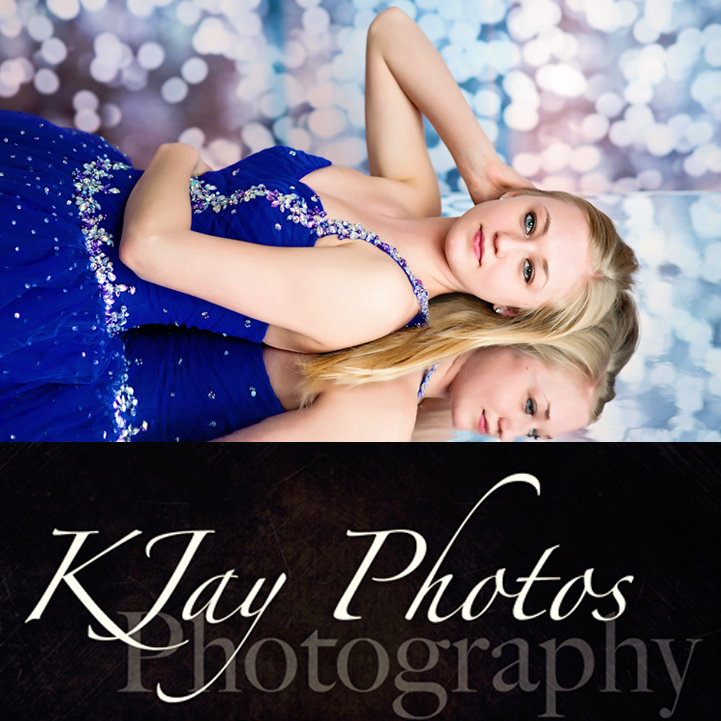 Call today to reserve your 2014 High School senior photography session, 608-850-4850 or email kim@kjayphotos.com. For more information on packages, visit www.madisonseniorportraits.com. April 4, 2013 | Categories: Award Winning Madison WI Photography, Basketball Senior PIctures, DeForest Photography, DeForest WI Photographer, High School Senior Pictures, High School Senior Swimming Pictures, High School Seniors Portraits, Madison Photographers, Madison WI Photographer, Madison Wisconsin Photography, Monona WI Photographer, Monona Wisconsin Photography studio, Photographer in Waunakee, Photography Studio in Waunakee, Professional Portrait Photography, Senior Picture Football Ideas, Senior Pictures Monona WI Studio, Senior pictures photographer Madison WI, Verona Photographer, Verona WI Photography, Waunakee Photographer, waunakee photography, Waunakee Studio | Tags: "lacrosse senior pictures" "madison wi photographer" "madison wisconsin photography studio" "k jay photos" kj kjay photos photography waunakee wi, High School Senior Sports composites, pictures ideas | Comments Off on Sports Composites are new for 2014 Seniors! Senior Pictures at night rock! 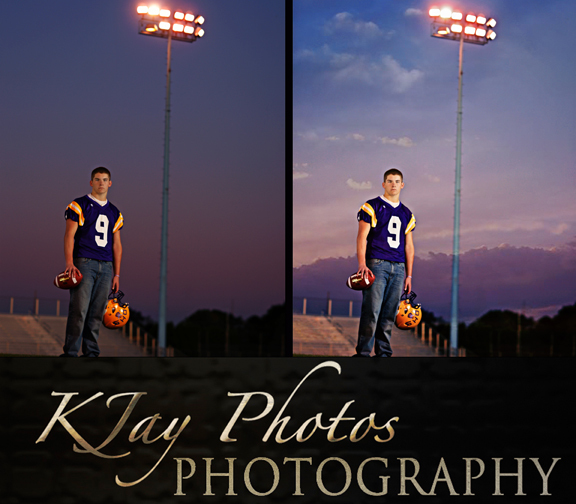 K Jay Photos Photography offers night senior pictures offering beautiful sunsets. Also, our special lights can be taken outdoors to photograph seniors, for example, on a football field at night giving a unique look to a sports shot. We offer only 10 seniors each year the chance to book our Day/Night Deluxe Package so hurry if this is something you would be interested in. March 20, 2013 | Categories: Artist Senior Pictures, Artistic Senior Pictures, Award Winning Madison WI Photography, DeForest Photography, Graduation Pictures, High School Senior Pictures, High School Seniors Portraits, Madison Photographers, Madison WI Photographer, Madison Wi Photographers Senior PIctures, Middleton Photographer Newborn Pictures, Monona WI Photographer, Photographer in Waunakee, Photography Studio in Waunakee, Professional Portrait Photography, Senior Picture Football Ideas, Senior Pictures Monona WI Studio, Senior pictures photographer Madison WI, Sports Pictures Senior Photos, Verona Photographer, Verona WI Photography | Tags: dance, Football, Madison, middleton, night senior pictures, Portraits, sunset, wi wisconsin | Comments Off on Senior Pictures at night rock! Where should I have my high school senior pictures taken? 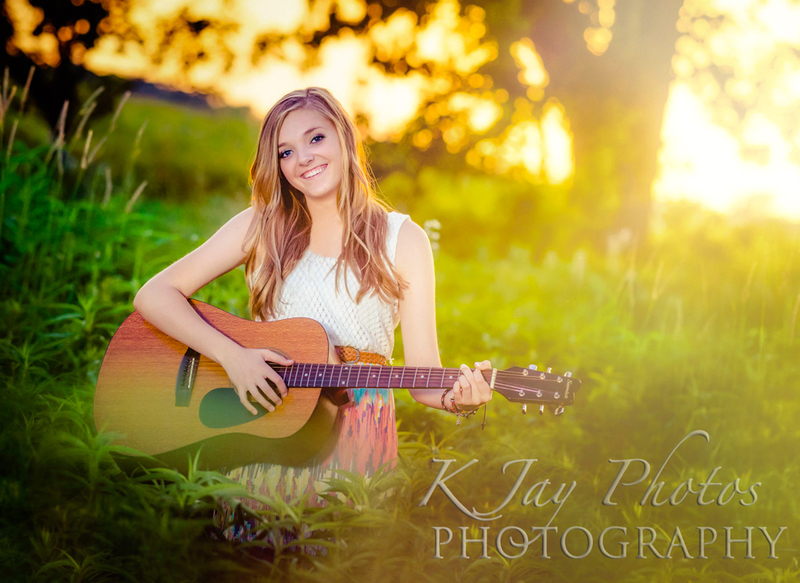 K Jay Photos Photography in Madison, WI specializes in high school senior portraits. To help our high school seniors select outdoor locations we have created storyboards showcasing photos taken in the same area. This helps our high school senior portrait customers know what their senior pictures get an idea on how their senior pictures will look before we even meet. 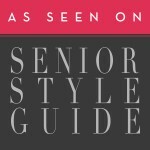 This also helps seniors select clothing ahead of time and choose a style if they so desire. February 25, 2013 | Categories: Artist Senior Pictures, Artistic Senior Pictures, Award Winning Madison WI Photography, DeForest Photography, DeForest WI Photographer, Graduation Pictures, High School Seniors Portraits, Madison Photographers, Madison WI Photographer, Madison Wi Photographers Senior PIctures, Madison Wisconsin Photography, Middleton Photographer Newborn Pictures, Middleton WI Photographer for Senior Portraits, Middleton WI Photographer Newborn Portraits, Monona WI Photographer, Monona Wisconsin Photography studio, Photographer in Waunakee, Photography Studio in Waunakee, Professional Portrait Photography, Senior Pictures Monona WI Studio, Senior pictures photographer Madison WI, Verona Photographer, Verona WI Photography, Waunakee Photographer, waunakee photography, Waunakee Portraits, Waunakee Studio | Tags: Beach Senior Pictures, Beautiful, Bold, Cottage Grove, Country Senior Pictures, Creek, DeForest, Fun, K Jay Photos, Madison, middleton, Monona, Old, Park, Photography, Stream, Sun Prairie, Urban Senior Pictures, Verona, Vintage, Water, Wi, Wisconsin | Comments Off on Where should I have my high school senior pictures taken? Sports pictures are some of our favorites! We have some great ideas for 2014 seniors, watch for them to be posted soon. Here are a few of our favorites over the past several years. 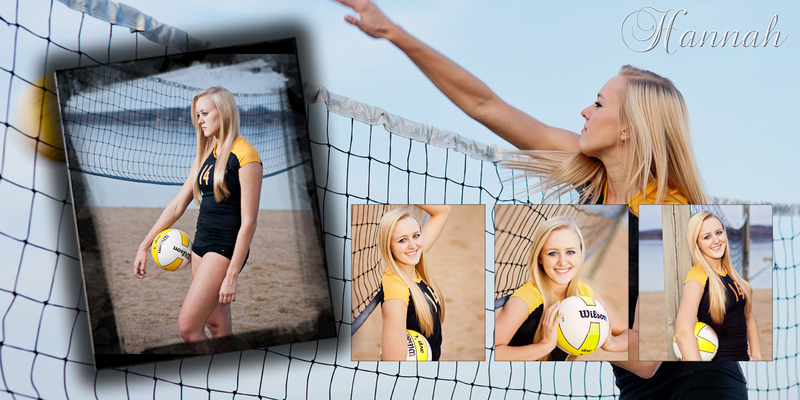 Reserve your 2014 Senior Portrait session today and tell us what sport you are crazy about so we can incorporate it into your senior pictures. 608-850-4850. December 17, 2012 | Categories: Award Winning Madison WI Photography, Basketball Senior PIctures, DeForest Photography, DeForest WI Photographer, High School Senior Pictures, Madison Wi Photographers Senior PIctures, Madison Wisconsin Photography, Middleton WI Photographer for Senior Portraits, Photographer in Waunakee, Photography Studio in Waunakee, Professional Portrait Photography, Senior Picture Football Ideas, Sports Pictures Senior Photos | Tags: basketball pictures, de forest wi, football pictures, high school senior pictures, sports | Comments Off on Sports pictures are some of our favorites! Black and White Senior Pictures. Black and white senior pictures can be bold, unique, fun and creative. Something different than your friends hand out for wallets. A great portrait making a statement on a wall that is painted with a bright color. 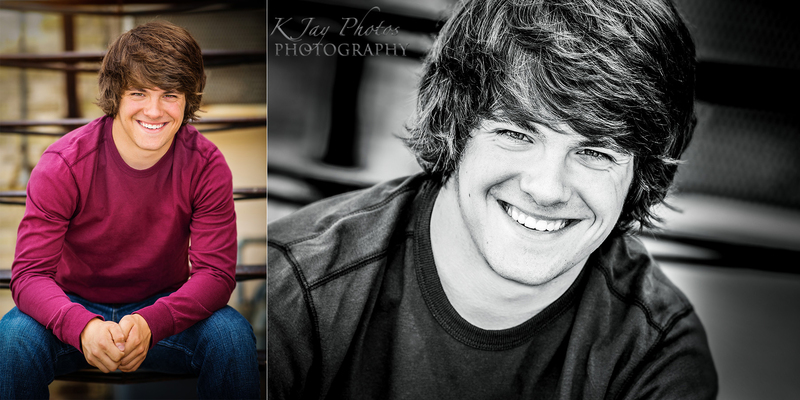 Here are a few samples of a few of our favorite black and white senior pictures from 2013. 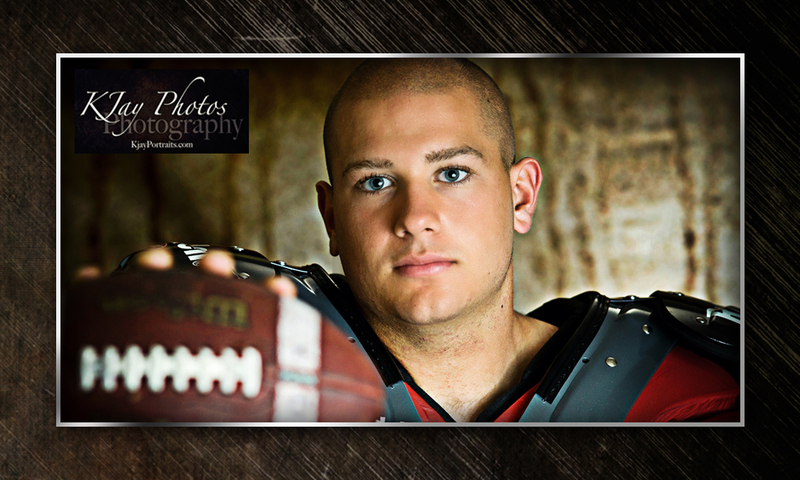 Call 608-850-4850 to reserve your senior portrait session. 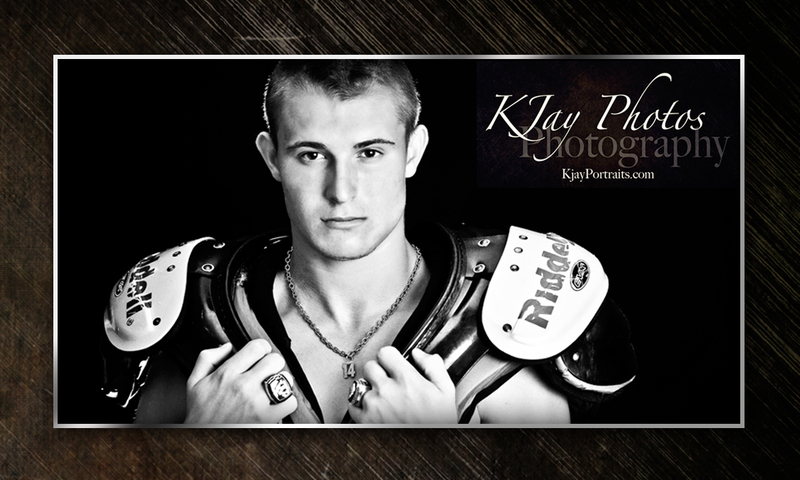 December 12, 2012 | Categories: Award Winning Madison WI Photography, High School Senior Pictures, Professional Portrait Photography, Senior Picture Football Ideas, Senior pictures photographer Madison WI, Sports Pictures Senior Photos, Waunakee Photographer | Tags: Black and White Senior Pictures, De Forest, Football Player Senior pictures, Madison WI photographer, Photographer Studio Middleton, Portraits, Sun Prairie, Waunakee | Comments Off on Black and White Senior Pictures. More 2013 KJay Photo High School Senior Reps.
Meet some of our 2013 High School Senior Reps. KJay Photos decided to focus on some specialties from sports to glam this year with these Reps. Watch for more to come. 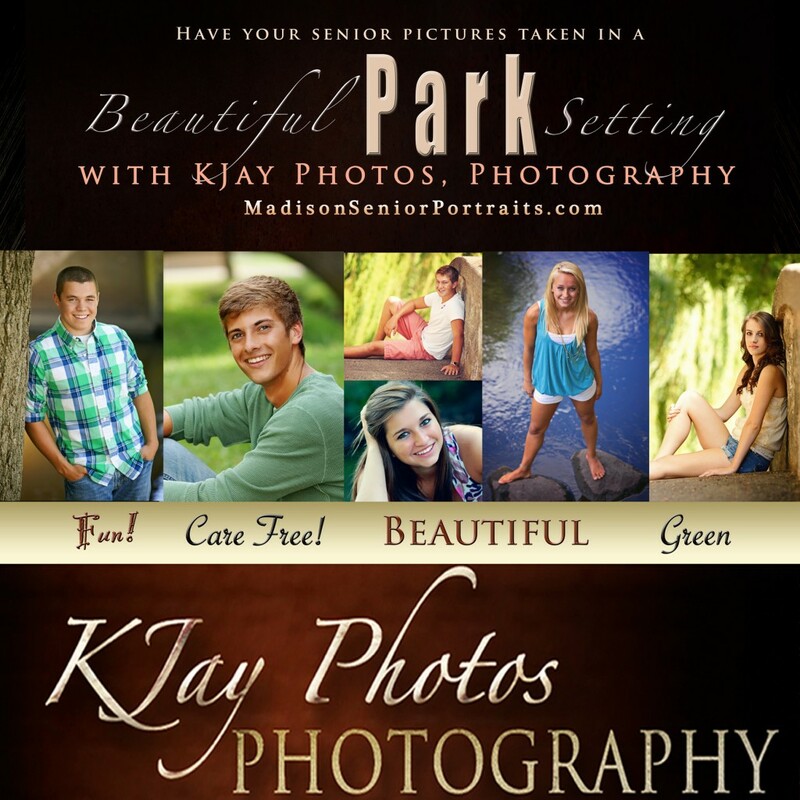 www.madisonseniorpotraits.com to learn more about KJay Photos, Photography of Madison WI. 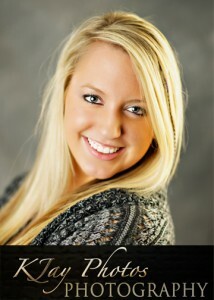 Check out Senior Portrait Packages for High School Seniors graduating in 2013. 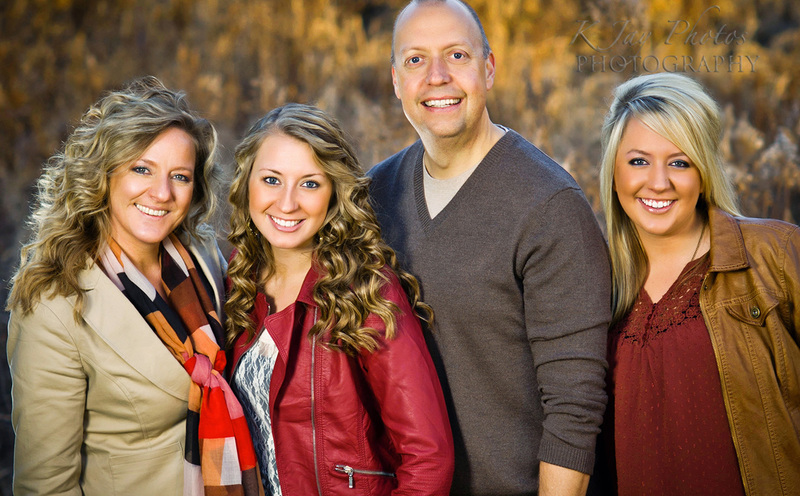 Email kim@kjayphotos.com or call 608-215-0047. April 4, 2012 | Categories: Award Winning Madison WI Photography, Graduation Pictures, High School Senior Pictures, High School Senior Swimming Pictures, High School Seniors Portraits, Madison Photographers, Madison WI Photographer, Madison Wi Photographers Senior PIctures, Madison Wisconsin Photography, Middleton WI Photographer for Senior Portraits, Monona WI Photographer, Monona Wisconsin Photography studio, Photography Studio in Waunakee, Professional Portrait Photography, Senior Pictures Monona WI Studio, Senior pictures photographer Madison WI, Senior portraits swimming Verona, Verona WI Photography, Waunakee Photographer, waunakee photography, Waunakee Portraits, Waunakee Studio | Tags: Madison WI photographer, Madison Wisconsin photographer, middleton wi photography studio, senior pictures, senior portraits | Comments Off on More 2013 KJay Photo High School Senior Reps. He had her at age six when they were junior prom king and queen. Friends for years and now years later they have fallen in love and shared their story with KJay Photography, Madison WI to take their engagement portraits. We were thrilled to discover they had a shot from their earlier years and decided to plan a portion of their engagement portrait session to create something as special telling their love story. Where to take your senior pictures? KJay Photos, Photography in Madison WI soecializing in high school senior pictures. So often we are asked “where should I take my senior pictures”? No worries, we have suggestions but also always open to yours. 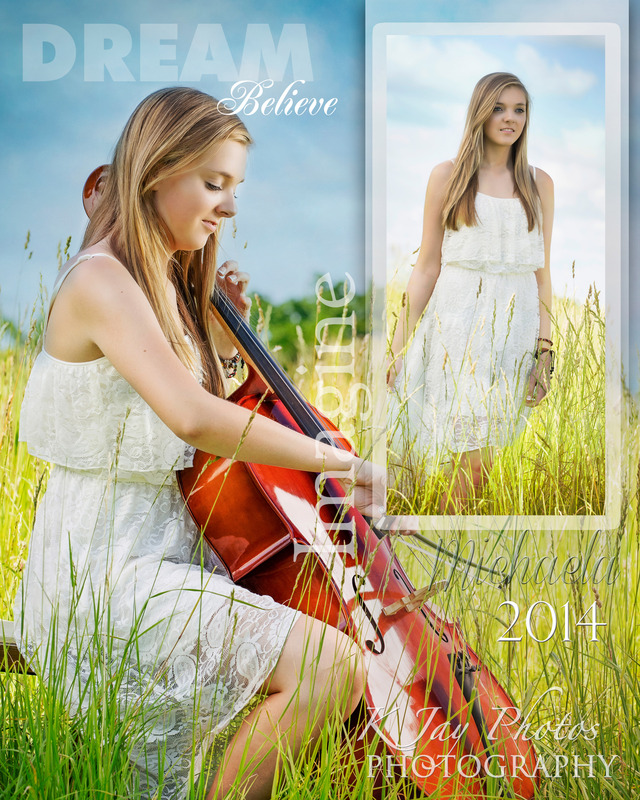 To help we have taken a few of last year’s senior pictures and grouped them together based on location. 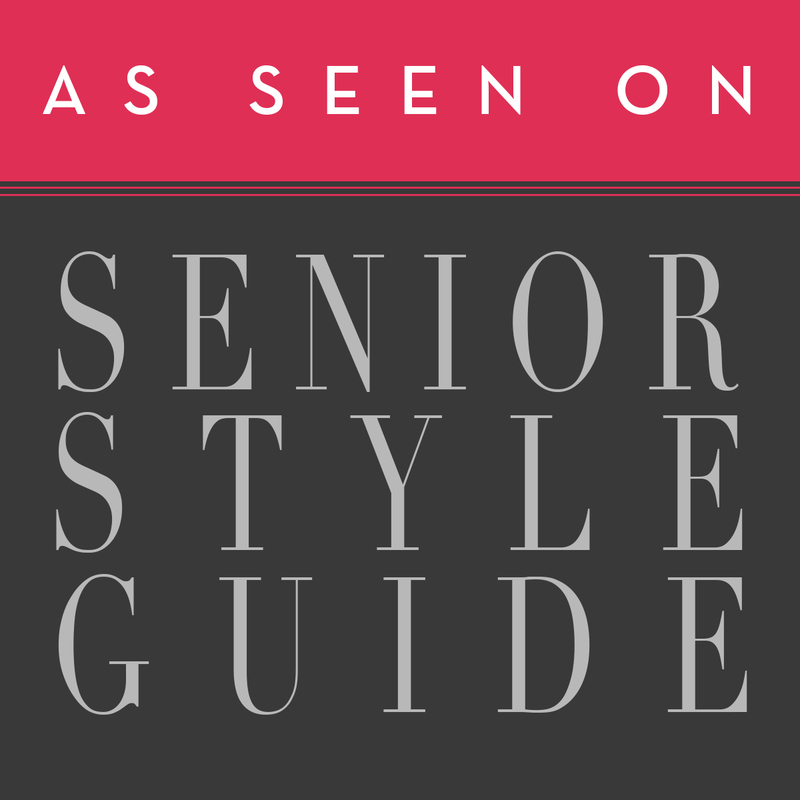 This will not only help you define your senior picture style but also give you an idea on how your senior pictures will look. 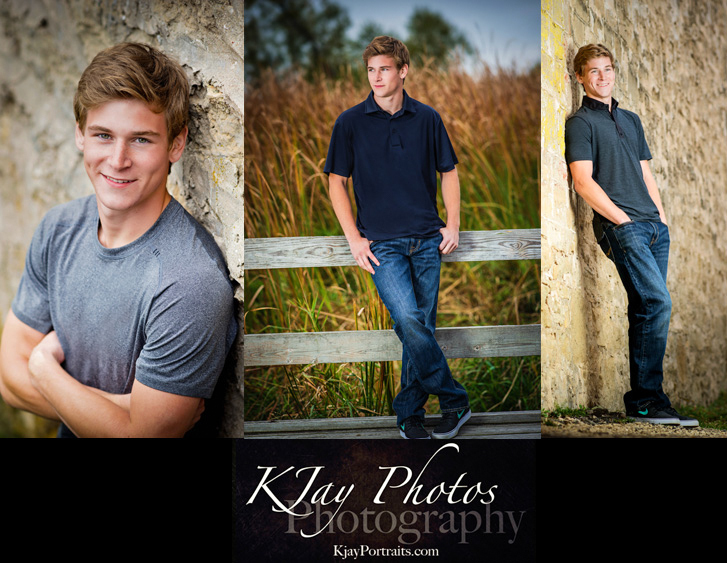 This often helps with selecting clothing for the big senior picture day:) To reserve your 2013 Senior Portrait Session contact Kim@kjayphotos.com or call 608-215-0047 and let us know which Senior Picture Board you like best (Park, Beach, Urban, Country). www.madisonseniorportraits.com a brand new website we built just for high school seniors offering tips, information, package details and more. February 13, 2012 | Categories: Award Winning Madison WI Photography, DeForest Photography, DeForest WI Photographer, Graduation Pictures, High School Senior Pictures, High School Seniors Portraits, Madison Photographers, Madison WI Photographer, Madison Wi Photographers Senior PIctures, Madison Wisconsin Photography, Middleton Photographer Newborn Pictures, Middleton WI Photographer for Senior Portraits, Middleton WI Photographer Newborn Portraits, Monona WI Photographer, Monona Wisconsin Photography studio, Professional Portrait Photography, Senior Pictures Monona WI Studio, Senior pictures photographer Madison WI | Tags: Beach Senior Pictures Madison WI, madison wi photography seniors, Middleton WI Photography, Monona WI Photography, Outdoor Senior Pictures Madison WI, Photographer in Madison, Senior Pictures Photographer Madison, Urban Senior Pictures Madison WI | Comments Off on Where to take your senior pictures? 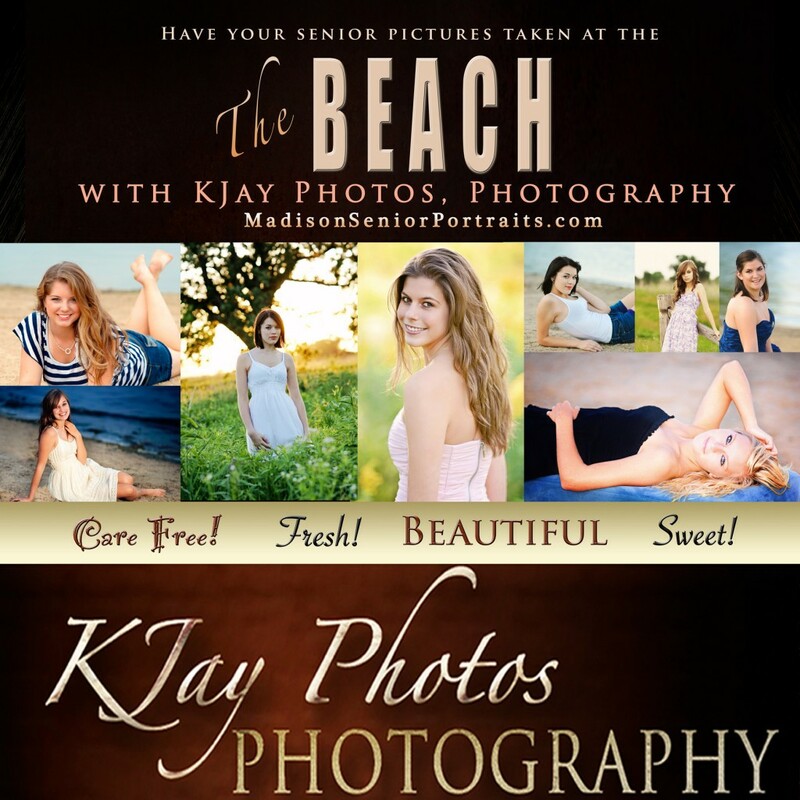 KJay Photos includes touch ups with all portrait packages purchased. 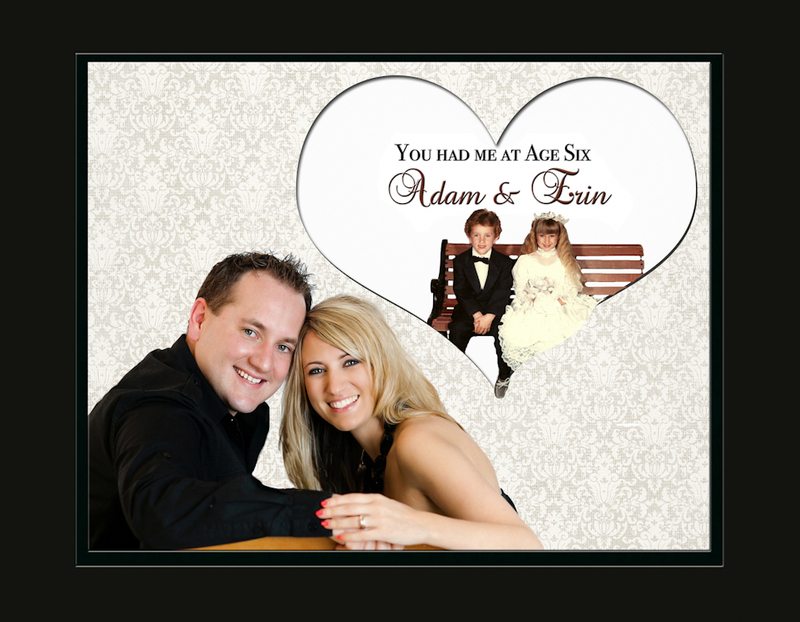 This editing time is incorporated into the package and allows you to choose your favorite photos that we took during your portrait session and our time playing with them in photoshop. Here is a drastic example below showcasing that the original shot was taken in a cool setting, at dusk in the DeForest WI Football Stadium and they sky was unique but not as unique as photoshop allowed us to make it. When we play with your favorite photos in photoshop we save everything we like and make all of those edited variations available to you in addition to the untouched photographs as well. For more information about KJay Photos, Professional Photography in Madison WI contact kim@kjayphotos.com or visit www.kjayportraits.com. Now reserving 2013 High School Senior Picture sessions. Hurry June is booking up with the discounts we are extending for those appointments in May and June. 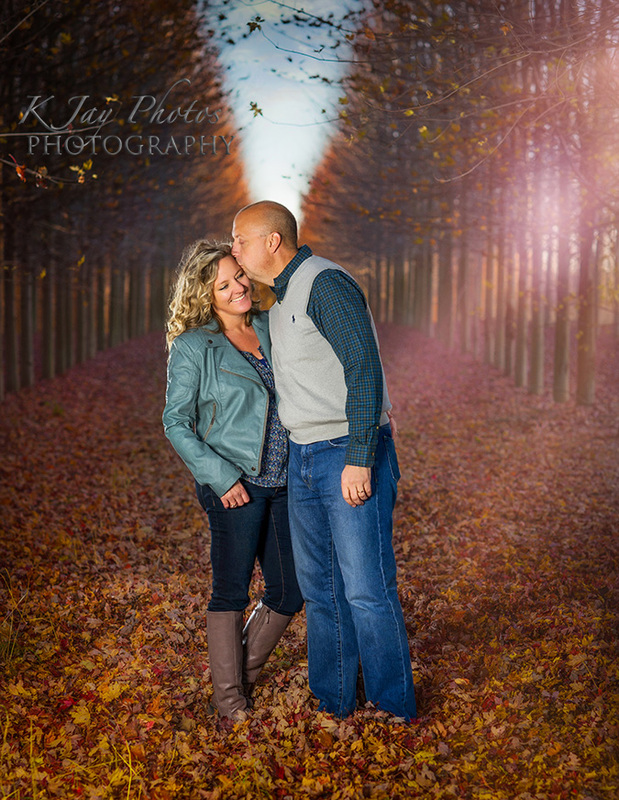 KJay Photography, Madison WI, offers professional portrait photography serving Madison, WI.